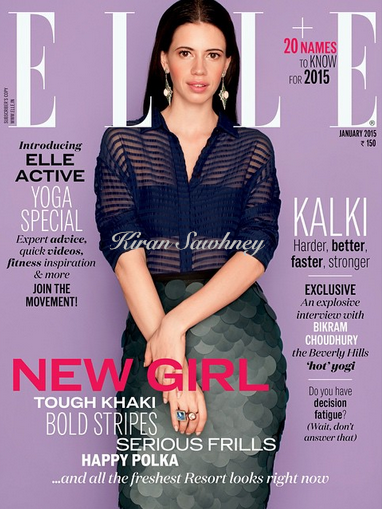 On Elle India January 2015 cover, we see Kalki Koechlin in Burberry. We like the cover. She teamed earrings by Hanut Singh and rings by Alice Cicolini. Both Joudan Dunn and Olivia Palermo have donned this look from Burberry, earlier this year. Also the focus of this month is Yoga. It is a new initiative- Elle Active.